M48 Tactical Waist Belt With Shoulder Straps - Polyester And Nylon Webbing Construction, Adjustable, MOLLE, Quick Release Buckle | BUDK.com - Knives & Swords At The Lowest Prices! 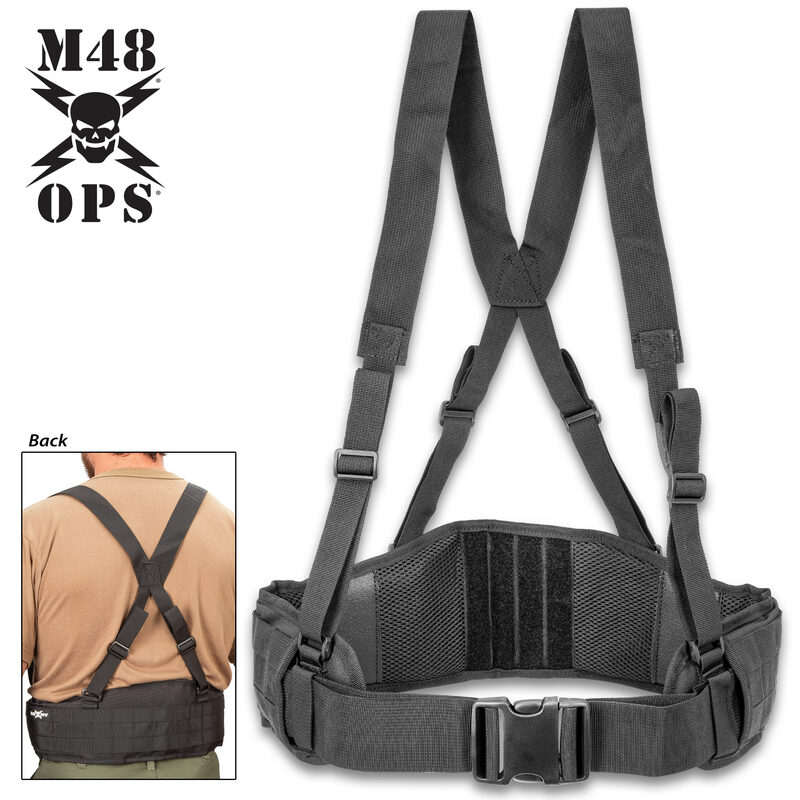 The M48 Tactical Waist Belt With Shoulder Straps is an essential addition to your tactical gear with its MOLLE webbing design to organize and carry your must-have gear. It has a polyester and nylon webbing construction featuring polyurethane panels for a no-slip grip and comfortable padding. The adjustable shoulder straps have tough ABS buckles and the adjustable waist has a heavy-duty ABS quick release buckle. The tactical waist belt is available in black and camouflage.